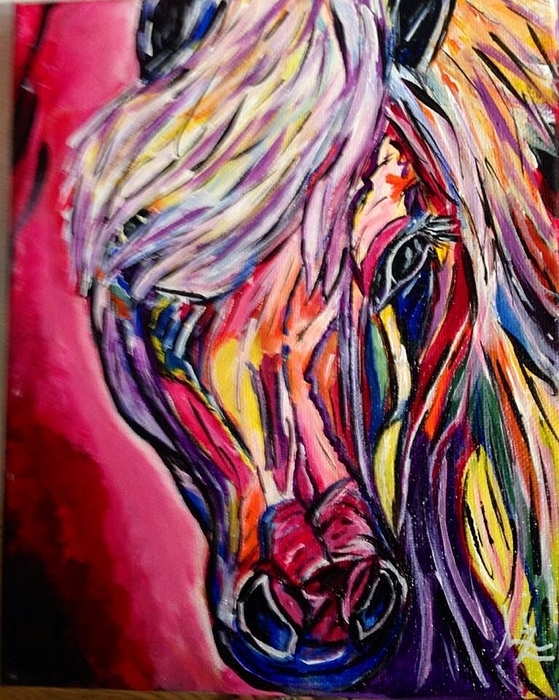 Painted Pony iphone x case by Liz Noska. Protect your iPhone X with an impact-resistant, slim-profile, hard-shell case. The image is printed directly onto the case and wrapped around the edges for a beautiful presentation. Simply snap the case onto your iPhone X for instant protection and direct access to all of the phone's features! There are no comments for Painted Pony. Click here to post the first comment. I began painting artistically as a form of mental therapy, in search of clarity in my thoughts, relaxation from mental stress, hope for my future and peace in my mind, body and spirit. In my continued quest of self discovery, art therapy and expressing difficult emotions visually on a canvas, has tremendously improved my sense of empowerment and my personal confidence across all domains of my life. I specialize in oil and acrylic paints on canvas ranging from landscapes, portraits, animals, abstract and still life.